Wikimedia CommonsFlight attendants get pummelled by space radiation while keeping you safe (and serving you food and drinks). Travelling the skies by jet lifts us far from the hustle and bustle of the world below. But many flyers don’t know that soaring miles above Earth also takes us out of a vital protective cocoon – and a little closer to a place where our cells can be pummelled by radiation from colliding stars, black holes, and more. You can’t see these high-energy charged particles, but at any given moment, tens of thousands of them are soaring through space and slamming into Earth’s atmosphere from all directions. 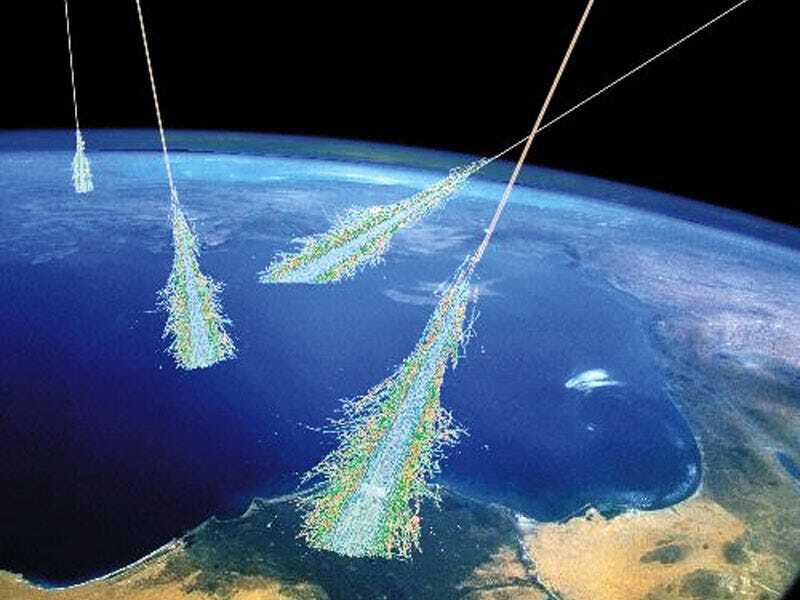 NASAAn illustration of cosmic rays hitting Earth’s atmosphere, leading to ionizing radiation. These rays don’t pose much of a risk to humans on Earth’s surface, since the planet’s atmosphere and magnetic field shield us from most of the threat. When cosmic rays strike the air, they create showers of ionizing radiation – particles that can knock electrons free of atoms and molecules – that can penetrate deep inside our bodies. This potential damage to tissues and DNA poses risks to our health and has been linked to cancer, reproductive issues, and cognition problems in animals. That’s why it can be risky to fly for a living. But cosmic rays aren’t the only form of radiation that pilots and flight attendants face. 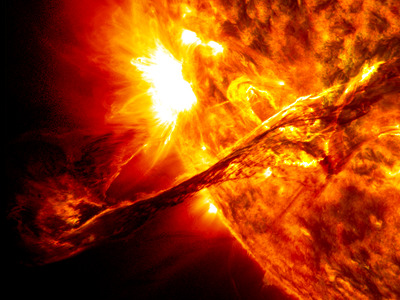 Wikimedia CommonsA photo of a solar outburst. 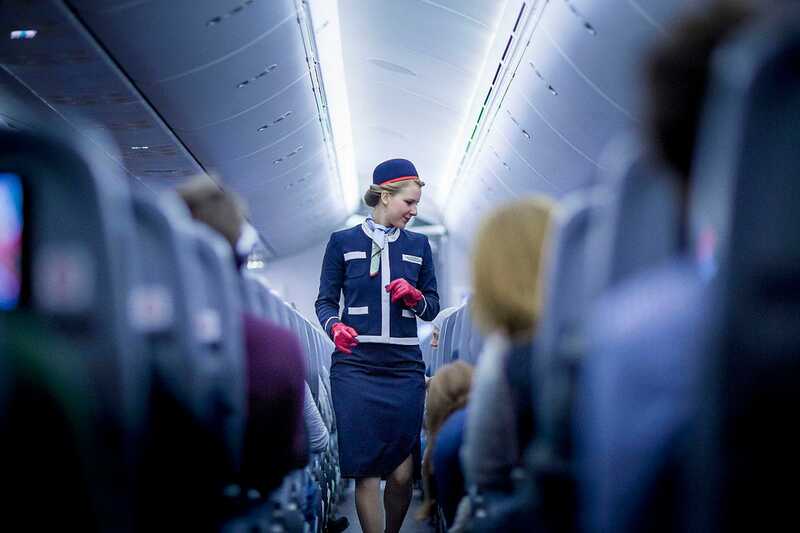 Because those who fly on jet aeroplanes frequently face higher exposure to cosmic radiation, the Centres for Disease Control and Prevention (CDC) classifies airline crew members as radiation workers. “Working at power plants nowadays, it’s very, very strict in how they would do a job that would incur radiation exposure to an individual,” Semones said. The use of robots and detailed planning has become routine since the Cold War, so “the industry has evolved,” he added. The annual exposure for air crews is an estimated 3 millisieverts (mSv) – a complex measure of the amount of background radiation a person receives in one year in the US. Only astronauts are more exposed: Ten days in space delivers about 4.3 mSv to the skin alone, which is 4.3 years’ worth of cosmic radiation on the surface of Earth. This is why NASA does not permit astronauts to spend more than a year or so in orbit. The space agency doesn’t want their exposure to boost their lifetime risk for cancer more than an additional 3%. 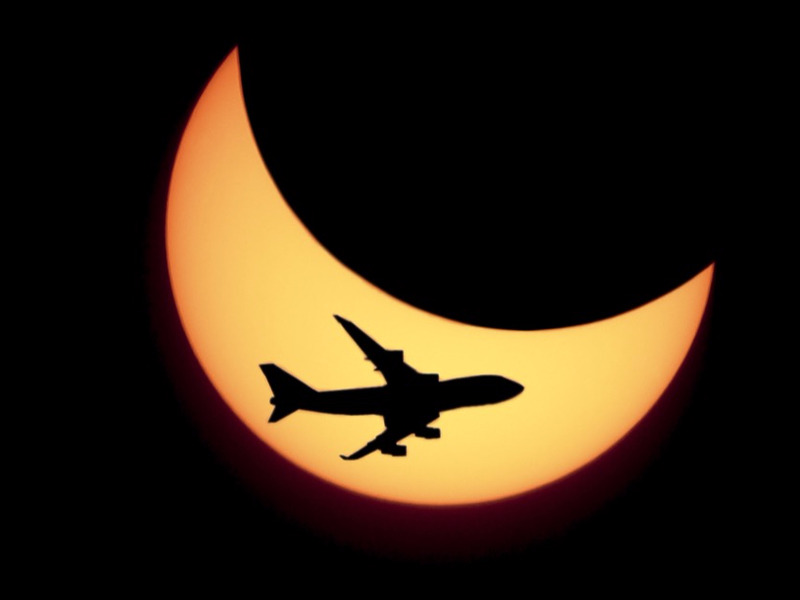 ShutterstockAn aeroplane flies in front of the crescent of a solar eclipse. While NASA is extra-cautious due to the intense exposure astronauts face during short missions, US airline workers don’t get the same scrutiny. This is because there are very few human studies on the topic. Most have examined nuclear bomb survivors and people undergoing radiation therapy. The animal studies that have been done don’t always map well to people. To minimise their exposure, airline personnel should try to limit working on flights that are very long, at high altitudes, or that fly over the poles, which are all associated with heightened exposures, according to the CDC. Pregnant crew members are particularly at risk and should try not to fly during their first trimester. They’re also advised to avoid flying when the sun is having a solar particle event, which can deliver a higher dose of radiation in one flight than is recommended for the entirety of a pregnancy.